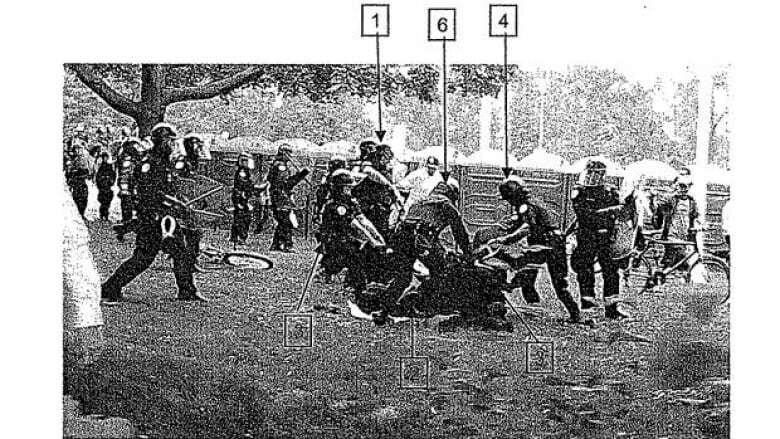 The head of the Toronto Police Association says he intends to challenge any attempt to lay disciplinary charges against five officers involved in the 2010 arrest of G20 protester Adam Nobody. Mike McCormack said Friday that the investigation took too long. "The association takes the position on a point of principle," he said. "These things should be concluded within a reasonable timeframe, like any other investigation." Ontario’s Office of the Independent Police Review Director (OIPRD) has concluded five officers used unnecessary force and "discreditable conduct" when they piled on top of Adam Nobody while arresting him on June 26, 2010. The OIPRD report was first revealed by CBC News on Friday. The OIPRD has ordered Toronto's police chief to hold a hearing for the five, even though the events were more than a year and a half ago. Normally, charges under the Ontario Police Services Act must be laid within six months of an alleged incident. So before any charges against the officers could proceed, Toronto Police Chief Bill Blair would first have to ask the Police Services Board for permission to lay charges against the officers. 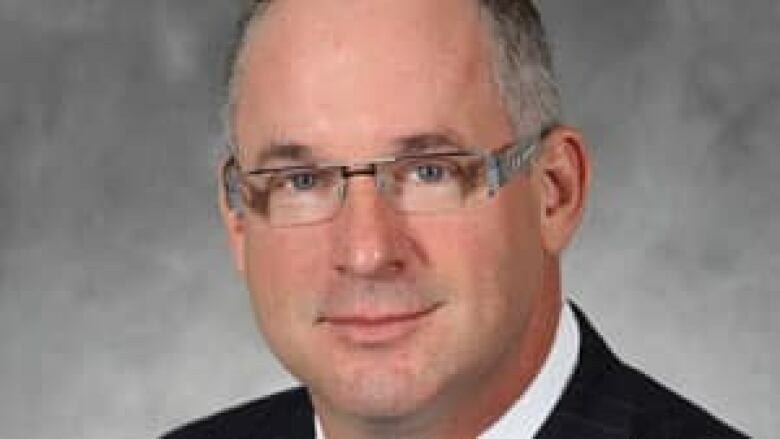 McCormack told CBC News on Friday that lawyers for his union intend to oppose any move to set aside the six-month time limit. "When these investigations occur, the officer's under a lot of stress. There's a timeline established because [six months] is a reasonable timeline," McCormack told CBC News, refusing to comment on the specifics of the G20/Adam Nobody allegations. OIPRD director Gerry McNeilly told CBC News in an email that his investigation took so long because "as you know, G20 was a big event, issues with officer identification, delays in obtaining and receiving disclosure, [the] number of matters being investigated were numerous and a systemic review ongoing." Toronto Police Chief Blair said Friday that a number of procedures must happen before any charges against the officer can proceed. "There will be a further investigation after we’ve received the investigative file, I haven’t got it yet," he told CBC News. "We’ll also have to go before the [Police Services] board, if it’s appropriate to seek permission from the board, to serve a notice of hearing, and then a hearing will be held. "The next step in my opinion is completing that investigative file and bringing it before the board and I don’t have a timetable for that."